The Coastal Commission approved SeaWorld’s Blue World project to expand its orca tanks, but prohibited the corporation from breeding or importing any new whales as part of the display. 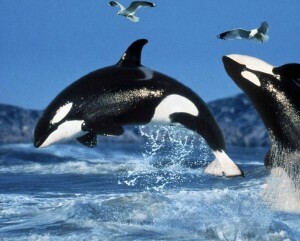 While passions ran high in the hearing room, the commission’s 11 to 1 vote to add these conditions to the project was substantively grounded in Coastal Act policies that protect marine resources and species of special biological significance – which surely describes orcas. These policies are routinely applied to marine mammals in the wild, but the law does not preclude their application to captive marine mammals. This was not a power grab. The commission is not pre-empted by any federal law, and no other state agency is addressing issues related to captive whales. We were faced with making our decision in a regulatory vacuum. The commission has always been forward-thinking in its protection of the environment, and the Coastal Act is a broad law. Over the decades it has been interpreted in ways that were controversial at the time but have since become important foundations for coastal protection. For instance, courts have upheld the commission’s past actions to end racial and gender discrimination in a private men’s club to promote public access; prohibit fireworks displays that disturb seabirds; and reverse the federal abandonment of a railroad. Last week, the commission determined that orcas are a marine resource and a species of special biological significance deserving of Coastal Act protections, whether captive or free. In our view, these protections are best provided to the whales at SeaWorld by allowing tank expansion, but slowly phasing out captivity over time. We heard abundant evidence demonstrating that captive breeding perpetuates wild capture, and this harms marine resources. Researchers and eyewitness experts made a compelling case that the stress and anguish associated with confining such large, social, intelligent animals creates aggressive behavior among whales that results in terrible wounds or death. Offspring are separated from their mothers and orcas bite the steel gates and concrete walls, causing dental injuries that result in systemic health problems. Although the majority of speakers asked us to deny the project, we felt that our approach was a compromise solution, benefiting both SeaWorld and the whales. It’s difficult to imagine a species more inherently unsuited for captivity, nor one more central to the health of marine ecosystems, than killer whales. Wild orcas swim 100 miles or more in a day, dive up to 850 feet, and spend their entire lives in closely-knit family groups. Grandmothers assist in the birthing and care of newborns, pods develop unique cooperative hunting skills and adult male orcas never leave their mother’s pod. As the ocean’s apex predators, killer whales play a vital role in balancing populations of other marine mammals. Life in captivity, no matter how well-intentioned, leads to aggression, isolation and many other unintended consequences. If SeaWorld’s longevity projections are correct, the company now has about 40 years to phase out public display with its current whale collection, and plan for a Shamu-free future. Objections that preventing captive whales from breeding is cruel are off base. SeaWorld already prohibits natural breeding behavior by isolating fertile females to prevent unwanted pregnancies and monitoring their hormone levels for artificial insemination. Captivity itself is the primary cruelty. The commission is required to apply the law to the facts. The overwhelming amount of scientific and eyewitness evidence presented in this case demonstrates that this unique marine species is inherently unsuited to life in captivity. When coupled with the provisions of the Coastal Act, and the clear lack of federal pre-emption, the evidence compelled us to vote as we did and the commission exercised proper judgment in doing so. Dayna Bochco is an attorney and the vice chair of the California Coastal Commission. Short of a whale translator to speak the mind of a whale, how can anyone know if these creatures are miserable or not? How aggressive can a whale be in the wild; any more, any less? Is your domestic dog or pet unsuited for captivity because it’s ancestors were wild? These animals and others like them, which are humanely kept in captivity for the public to see, provide an immeasurable benefit to their wild environment by educating everyone (especially youngsters) about preserving the earth’s natural world. A simple question that may help you…would YOU be miserable if YOU were held in captivity? That’s an easy one. Open the door to the freedom of the ocean and see whether the whale chooses a confined living space or the open sea. I’ve used this same argument with a friend that has a reptile prison that they call a pet collection. The reptiles would all flee if given the chance. For a human it equates to living in a bathroom seven days a week, but once a week you get go around the rest of the house for an hour while someone cleans the bathroom. Then back to your bathroom for another week. Repeat this every week for the rest of your life. Can anyone provide ONE good reason why these animals should be held in captivity? Just as I thought…not ONE good reason. What a shame. I don’t have a dog in this fight, or an orca rather, but sea world would likely argue that scientific research is one good reason. Profit is also a good reason. Profit is NOT a good reason, and research can, and is being conducted in the wild. I’m afraid neither of your reasons are valid. How much do you want to bet that the extensive evidence studied by the coastal commission consisted of watching the documentary “blackfish” that paints Sea World as evil incarnate? Sea world has been unable to successfully counter the public opinion generated by the film. No more shamu = the end of sea world. Seaworld will figure out a way around this. The whales are too big of a business, and, Seaworld owners have a lot of cash. Temporary setback at the very most. These beautiful, wild creatures DON’T belong in captivity…period. Let’s get rid of the Coastal Commission they have way outgrown what the intention was, they’ve become the whale in the tank. Just another place to pay off your political pals.